My primary research interests fall into four areas—syntactic theory, language acquisition, Korean, and heritage languages. My work on syntactic theory and on language acquisition focuses on emergentism—the idea that the complex systems are best understood by investigating the interaction of more basic forces and propensities. In the case of language, these factors seem to consist largely of processing pressures, which play a key role in shaping the properties of grammatical systems, the manner in which those properties emerge in the course of development and are lost in case of impairment, and the way in which they are distributed cross-linguistically. Syntactic Carpentry (published in 2005 by Erlbaum) provides a detailed outline of this idea as it related to syntax, illustrating how many core grammatical phenomena can be traced to the operation of an efficiency-driven processor whose primary goal is simply to reduce the burden on working memory. This theme is pursued and refined in several of the papers that can be downloaded from this site. The Handbook of Language Emergence (Erlbaum, 2015), co-edited with Brian MacWhinney, offers a broader perspective on emergentist work in cognitive science in general. My research on Korean is relatively wide-ranging, beginning with Categories and Case (1989). I maintain an ongoing interest in case-related phenomena as well as processing and acquisition, and I have co-authored a bilingual ‘root dictionary’ of Korean (The Handbook of Korean Vocabulary, University of Hawai‘i Press, 1996) as well as a book on Korean phonology (The Sounds of Korean, University of Hawaii Press, 2003). I am currently completing a book on Jejueo, the language of Korea’s Jeju Island (co-authored with Changyong Yang and Sejung Yang). Finally, I have a strong interest in the acquisition and maintenance of ‘heritage languages’—a broad category that includes both the family languages of immigrants to America (e.g., Korean) and endangered indigenous languages around the world. I am particularly devoted to the preservation and revitalization of Jejueo. I am happy to discuss any of these matters with groups and classes via Skype. Jejueo: The Language of Korea’s Jeju Island. (co-authored with Changyong Yang & Sejung Yang). 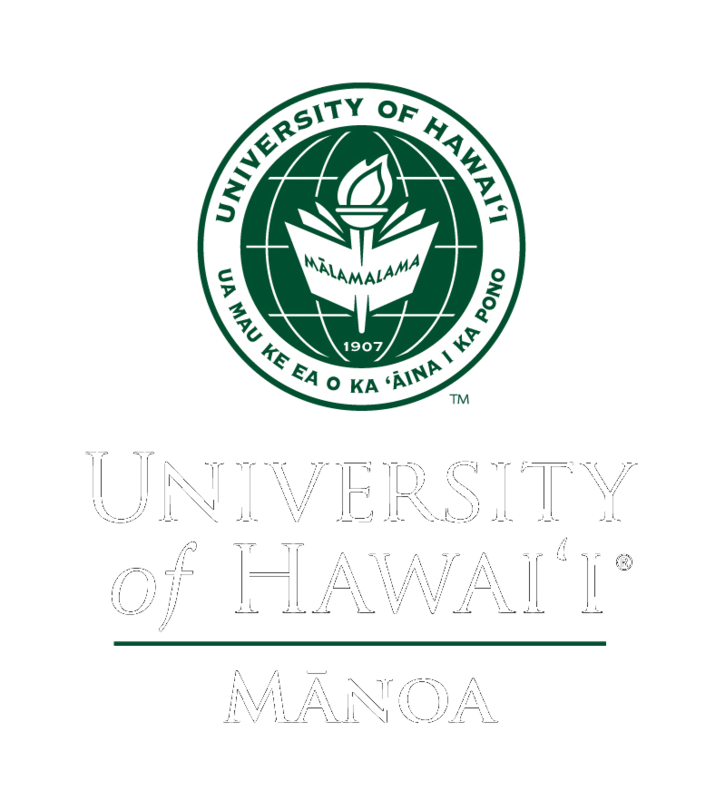 Honolulu: University of Hawai’i Press. To appear in 2017. Syntactic Carpentry: An Emergentist Approach to Syntax. Mahwah, N.J.: Erlbaum, 2005. How Children Learn Language. Cambridge, UK: Cambridge University Press, 2005. The Sounds of Korean: A Pronunciation Guide (co-authored with M. Choo). Honolulu: University of Hawai‘i Press, 2003. Syntactic Development. Chicago: University of Chicago Press, 1997. Handbook of Korean Vocabulary (co-authored with M. Choo). Honolulu: University of Hawai‘i Press, 1996. Categories and Case: The Sentence Structure of Korean. Philadelphia & Amsterdam: John Benjamins, 1991. Principles of Grammar and Learning. Chicago: University of Chicago Press, 1987. Papers available for downloading as PDF files. ‘Emergentism.‘ This brief overview of emergentism appeared in 2010 in The Cambridge Encyclopedia of the Language Sciences, edited by Patrick Hogan (pp. 274-76). Cambridge, UK: Cambridge University Press. ‘The emergentist program.’ This selective survey of emergentist research on language appeared in 2008 in Lingua 118 (pp. 447-64), a special issue edited by Roger Hawkins and devoted to an examination of emergentist and UG-based work on language acquisition. ‘An emergentist approach to syntax.’ This paper, first written in early 2001, summarizes many of the points developed in more detail in my 2005 book, Syntactic Carpentry (Erlbaum). The paper was subsequently revised and updated for publication in 2010, appearing in The Oxford Handbook of Linguistic Analysis (pp. 257-83), edited by H. Narrog & B. Heine and published by Oxford University Press. It is somewhat more technical than the two preceding items, but considers a broader range of issues. ‘Does emergentism have a chance?‘ This is my plenary talk to the 32nd Boston University Conference on Language Development (November 2007) as it appeared in the Proceedings. It focuses almost entirely on the problem of first language acquisition. ‘Interview on emergentism.’ This interview, conducted by Mei Yang of South China University of Technology, appeared in Chinese in The Foreign Modern Language Quarterly, 32.4, 121-28 in 2009. **’The role of salience in linguistic development: A contrarian view.’ (with Kitaek Kim & Chae-Eun Kim), in Salience and SLA, edited by S. Gass, P. Spinner & J. Behne. New York: Routldege, 2017. ‘Toward a linguistically realistic assessment of language vitality: The case of Jejueo.’ (with Changyong Yang & Sejung Yang). To appear in Language Documentation and Conservation, 2017. ‘The status of syntactic ergativity in Kaqchikel.’ (with R. Heaton & K. Deen). Lingua 170, 35-46. **’Processing cost and its consequences.’ Commentary on ‘The now-or-never bottleneck: A fundamental constraint on language’ by M. Christiansen & N. Chater in Behavioral and Brain Sciences 39, 2016. ‘The linguistics of language revitalization: Problems of acquisition and attrition.’ In the Oxford Handbook of Endangered Languages, edited by K. Rehg & L. Campbell. 2017. ‘Language acquisition and language revitalization‘ A tutorial introduction to research on language acquisition that is of relevance to language revitalization programs. Language Documentation and Conservation 10, 46-58, 2016. **’Asymmetry in children’s comprehension of raising.’ (with Jinsun Choe). Journal of Child Language 43. **‘Asymmetries in children’s production of relative clauses: Data from English and Korean.’ Journal of Child Language 42, 1-34, 2015. **‘Anaphora and the case for emergentism.’ This chapter, which appeared in the Handbook of Language Emergence (co-edited by Brian MacWhinney; published by Wiley in early 2015) presents an emergentist analysis of several core properties of anaphora. **‘Processing determinism.’ This paper, which appeared in Language Learning 65 in early 2015, outlines an emergentist, processing-based approach to understanding linguistic development. **‘Language development: Emergentist theories.’ In J. Wright (ed. ), the International Encyclopedia of Social and Behavioral Sciences, 2nd ed., 2015. **‘Frequency effects and processing.’ Journal of Child Language 42, 294-97, 2015. ‘The price of politeness: Subject honorification and processing.’ This chapter, which appeared in Studies in Korean Linguistics and Language Pedagogy (co-edited by S.-O. Sohn, S. Cho & S-H. You and published by Korea University Press in 2013) discusses the role of processing in explaining certain contrasts in the Korean system of honorification. **‘The illusion of language acquisition.’ This keynote article (Approaches to Bilingualism 3, 253-85, 2013) outlines a processing-based theory of language acquisition built around the idea that development is best understood as a side-effect of the processor’s attempts to improve its own functioning. **‘Facts and issues: Response to the commentaries.’ This is the published response to the various commentaries on my article, ‘The illusion of language acquisition,’ which appeared in Approaches to Bilingualism 3 in 2013. **‘Facts and issues: Response to the commentaries–Long version.’ This is the longer, unpublished version of my response to the commentaries on ‘The illusion of language acquisition’; section 4 did not appear in the published version. 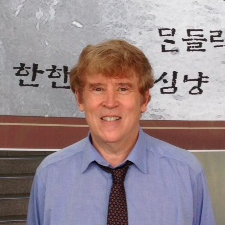 **‘Processing and language acquisition: Reflexive pronouns in English and Korean.’ This is a revised version of an invited talk to the linguistics program at Sogang University in 2012. It appeared in 2013 in Enewa cengpo (Language and Information) 19, 33-59. **‘Reflexive pronouns in second language acquisition.’ Second Language 12, 5-18, 2013. This paper was first presented as an invited talk to the 2012 meeting of the Japanese Second Language Association (J-SLA). **‘Three factors in the design and acquisition of language.’ Wiley Interdisciplinary Reviews: Cognitive Science 3, 493-99. This paper, published in 2012, discusses recent developments in minimalism and their relationship to the emergentist thesis for language, with special attention to the notions of computational efficiency and processing cost. **‘Language acquisition without an acquisition device.’ Language Teaching 45, 116-30 (2012). This is a simplified and heavily abridged version of my plenary talk to the 2010 Second Language Research Forum, held at the University of Maryland. **‘Relative clauses: Processing and acquisition.’ In Evan Kidd (ed. ), The acquisition of relative clauses: Processing, typology and function, 13-38. Amsterdam: Benjamins, 2011. **‘Interfaces and processing.’ Linguistic Approaches to Bilingualism 1, 63-66, 2011. **‘Fundamental universals of language.’ This is a slightly expanded version of a paper that appeared in 2010 in Lingua 120, pp. 2707-12. **‘An emergentist perspective on heritage language acquisition.’ (co-authored with Hye-Young Kwak, On-Soon Lee, & Miseon Lee) Studies in Second Language Acquisition 33, 223-45 (2011). ‘Practical and theoretical issues in the study of partial language acquisition.’ (with On-Soon Lee & Jinhwa Lee) Heritage Language Journal 8.3, 23-40 (2011). **‘Processing, pragmatics, and scope in Korean and English.’ (with Miseon Lee, Hye-Young Kwak, & Sunyoung Lee). Proceedings of the 19th Japanese-Korean Linguistics Conferencem, 297-311. Stanford, CA: Center for the Study of Language and Information. 2011. ‘A psycholinguistic tool for the assessment of language loss’ (with A. Schafer, J. Perla, O.-S. Lee, & J. Weiting). This paper outlines a simple response-time tool for assessing language strength in bilinguals, with a view to diagnosing the potential for language loss both in individuals and in communities. It appeared in 2009 in Language Documentation and Conservation 3, 100-12 and can be downloaded at HALA (see above link). **‘Language without grammar.’ This is the revised version of my plenary talk to the 2003 annual meeting of the American Association for Applied Linguistics in Washington, D.C. It appeared in the Handbook of Cognitive Linguistics and Second Language Acquisition (pp. 139-67), edited by N. Ellis & P. Robinson and published by Routledge in 2008. ‘A mapping theory of agrammatic comprehension deficits.’ (with Miseon Lee) Brain and Language 92, 91-100 (2005). ‘The syntax of idioms.’ Natural Language and Linguistic Theory 16, 279-312 (1998). ‘Brow raise in American Sign Language: An emergentist account.’ This paper, written in 2010 and revised in 2011, outlines a possible processing-based explanation for a phenomenon central to the syntax of ASL. ‘Classifiers and learnability: The role of recasts.’ (with Sunyoung Lee) Frontiers of Korean Language Acquisition, ed. by Jae Jung Song. Saffron Books: London, 2006,127-37. ‘Rethinking structure and case.‘ This is the text of my 2004 talk to the annual meeting of the Linguistic Society of Korea; it is virtually identical to the version that appears in the conference proceedings. ‘Words and Sounds.‘ This invited talk to the International Association for the Promotion of Korean as an International Language (2001) discusses two books that I co-authored that are of special interest to Korean language professionals. Fahn, Sharon. 1993. The acquisition of Mandarin Chinese BA-constructions. Gibson, Robert. 1993. Palauan causatives and passives: An incorporation analysis. Kao, Rong-Rong. 1993. Grammatical relations and anaphoric structures in Mandarin Chinese. Choo, Miho. 1994. A unified account of null pronouns in Korean. Cho, Sungdai. 1995. On verbal intransitivity in Korean: With special reference to middle constructions. Clausen, Josie. 1995. The taxonomy, semantics, and syntax of Ilokano adverbial clauses. Izutani, Matuzo. 1995. Against a subjacency account of movement and empty categories in Japanese. Kim, Seong-Chan. 1995. The acquisition of wh questions in English and Korean. Yamashita, Yoshie. 1995. The emergence of syntactic categories: Evidence from the acquisition of Japanese. Yoshinaga, Naoko. 1996. Wh-questions: A comparative study of their form and acquisition in English and Japanese. Lim, Kihong. 1998. A split analysis of caki-binding in Korean. Wong, Cathy Sin-Ping. 1998. The acquisition of Cantonese noun phrases. Cho, Sookeun. 1999. The acquisition of relative clauses: Experimental studies on Korean. Suzuki, Takaaki. 1999. Two aspects of Japanese case in acquisition. Lee, Miseon. 2000. On agrammatic deficits in English and Korean. Chang, Jung-hsing. 2001. The syntax of event structure in Chinese. Kim, Kyoungkook. 2001. Korean negation and the licensing condition on negative polarity items. Tsang, Chi Chung Aaron. 2003. Transitivity in Cantonese. Song, Min Sun. 2003. The first and second language acquisition of negative polarity items in English and Korean. Lee, Sun-Young. 2003. Argument/adjunct asymmetry in the acquisition of inversion in wh-questions by English-speaking children and Korean learners of English: Frequency account vs. structural account. Lee, Mijung. 2004. Resultative constructions in Korean. Kim, Jae-Yeon. 2005. L2 acquisition of transitivity alternations and of entailment relations for causatives by Korean speakers of English and English speakers of Korean. Shin, Kyung Sook. 2007. Processing nominal reference in English and Korean: Data from first and second language acquisition. Hwang, Hui-hua (Jessie). 2008. Serial verb constructions in Chinese. Lee, Sunyoung. 2009. Interpreting scope ambiguity in first and second language processing: Universal quantifiers and negation. Kwak, Hye-Young. 2010. Scope interpretation in first and second language acquisition: Numeral quantifiers and negation. Hunter, Hatfield. 2010. Temporal expectancy and the experience of statistics in language processing. Kim, So-Young. 2011. Focus particles at syntactic, semantic and pragmatic interfaces: The acquisition of only and even in English. Kang, Sang-Gu. 2011. English attrition in Korean-English bilingual children. Hattori, Ryoko. 2011. Preverbal particles in Pingelapese: A language of Micronesia. Kim, Jinsook. 2012. Comprehension of elided phrases in Korean and English: VP-ellipsis, null object constructions, and one-substitution. Kim, Chae-Eun. 2013. Asymmetries in the production of relative clauses: First and second language acquisition.